First, I think it pays to be close to a cell tower. 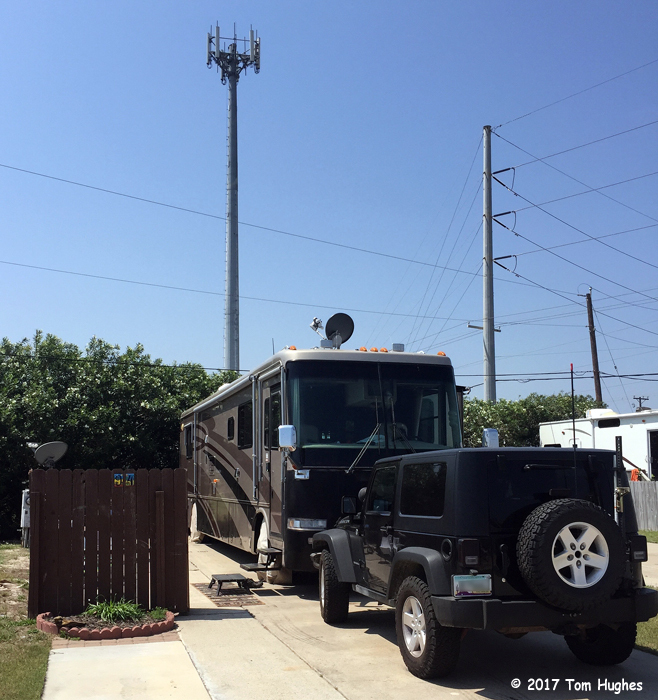 I’m pretty sure that we’re parked right under a Verizon tower . . . today’s cell download speed was about 50 Mbps, yesterday it was 90 Mbps. I “fixed” my shower door so it wouldn’t fall off after traveling. 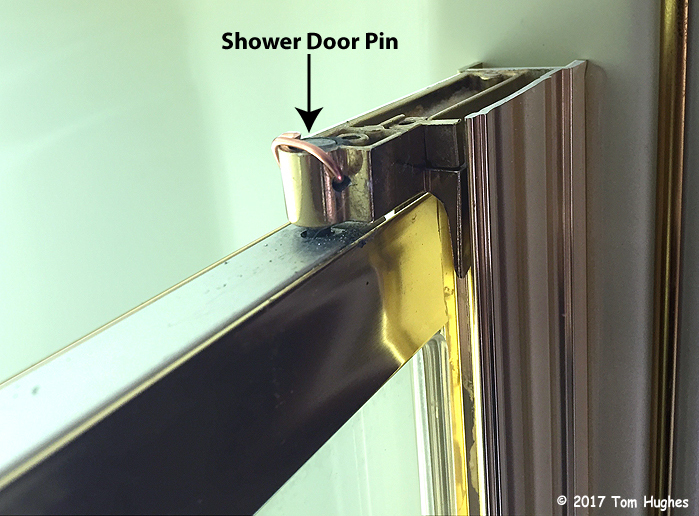 On our shower door’s top hinge, there’s a pin that holds the door on. Sometimes after a long trip, the pin would work its way out. 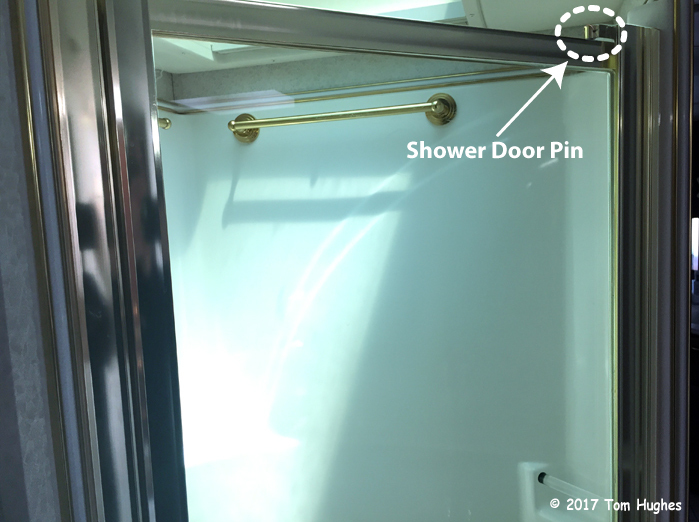 We wouldn’t notice anything was wrong until we tried opening the shower door — then it would fall out into our hands. I tried using duct tape to hold the pin in place, but it didn’t work well and it looked really dumb — as duct tape fixes typically do. So I drilled a small hole through the hinge and the pin. Really slowwwww work. Then I inserted a wire to hold the pin in place. Voila! It still looks pretty dumb, so I’ll use a small screw in place of the wire . . . later. Great man-fix. You deserve a cold beer!! Hey, cuz, good to hear from you.